Wolverine is one of the main characters in the comic X Man, these comics are very popular. 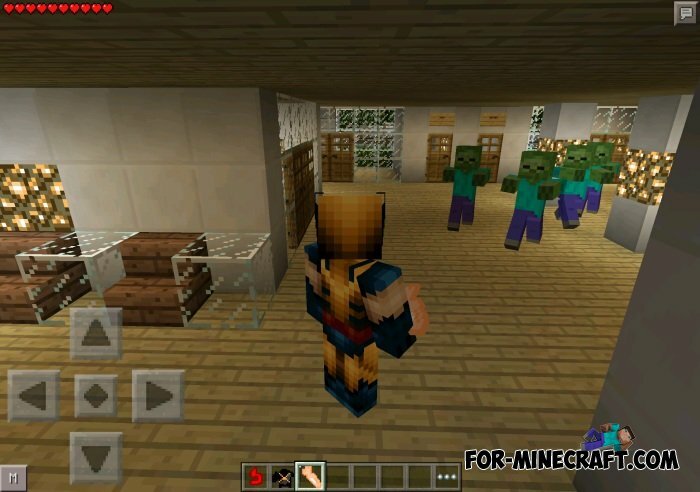 So, this mod will turn you into this Wolverine. New iron claws, extraordinary strength and regeneration of life - you'll get all this and more. How could turn into a Wolverine? 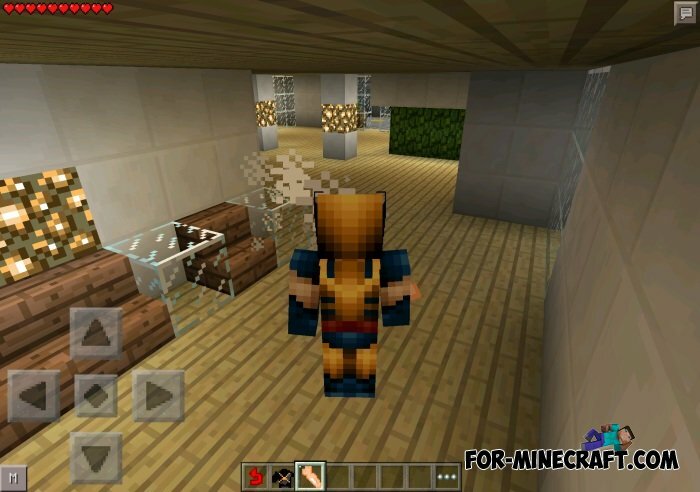 First you must to craft Wolverine Suit and tap on the ground keeping the subject in hand, ready to go! Do not forget to Wolverine Attack crafted to be even stronger.